OPEN 1-4, 4/14!! 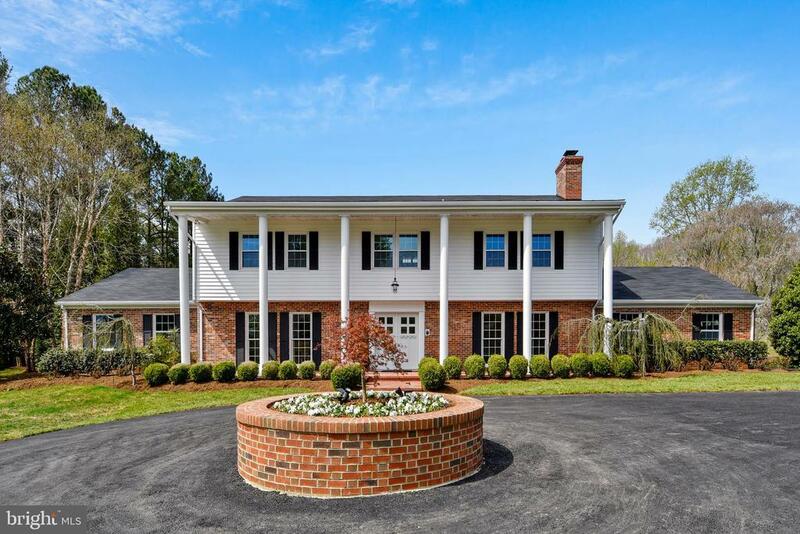 This beautiful home has been completely updated with an open, contemporary flair. The list of new items is extensive but a few are new: roof, siding, driveway, master bath, hall bath, wood floors, and windows. There is a first floor suite that includes a sitting area, a bedroom, a bathroom and a study/reading/tv room along with a door outside. This suite offers great flexibility. The lot is truly one of the prettiest Ive seen with pastoral views, an outbuilding that was a barn and is now a workshop, extensive hardscaping and a huge play area with a mulched surface and a covered sand box. Directions: Follow VA-286 S/Fairfax County Pkwy to VA-123 S/Ox Rd in Burke. Take the VA-123 S/Ox Road exit from VA-286 S/Fairfax County Pkwy. Left onto 123 S/Ox Rd, Right onto 643/Henderson Rd, then left onto Manor House. 7608 is on the right.